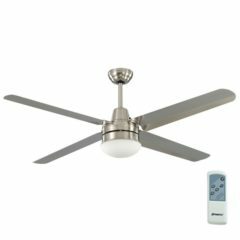 The Trinidad III ceiling fan features an energy saving DC motor reaching a low 30W on the highest speed and has a three plastic blade design. 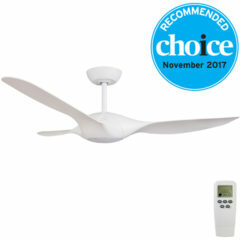 It offers six speeds in total affording you greater control over the level of airflow and has reversible settings for both summer and winter all via the included remote. 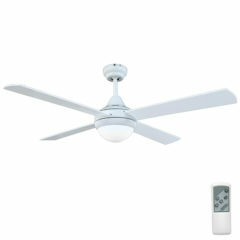 This model comes with an integrated 18W, Cool White LED Light. 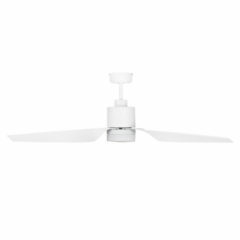 The Precision ceiling fan with light and remote in White provides a silicon dipped steel blade, in a modern, simple white look. 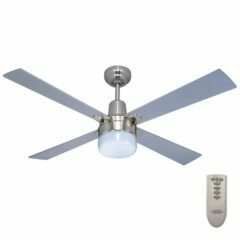 This Precision ceiling fan model comes with a light kit and remote control and is available in three blade sizes – select below. 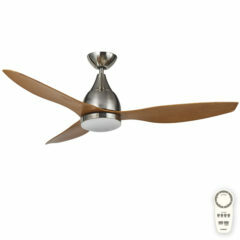 The Hamilton Ceiling Fan with light and remote comes with Palm Leaf blades. 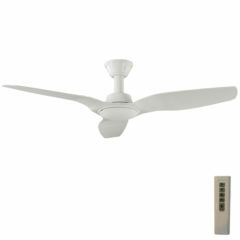 It is a quality fan by Martec which allows you to create that tropical oasis feel right in your own home. 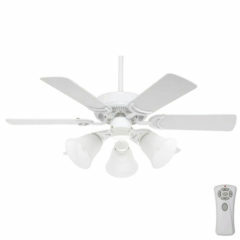 This listing includes a matching light kit and a remote control. 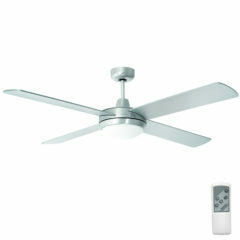 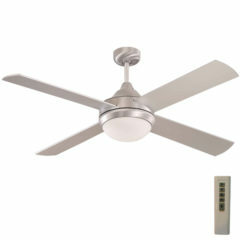 The Precision ceiling fan with light and remote in brushed nickel provides a modern, simple metal look. 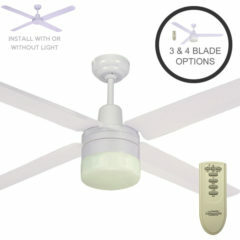 The Precision ceiling fan model is available in three blade sizes – select below. 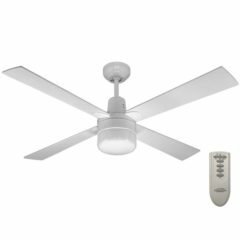 This listing includes a light and remote control. 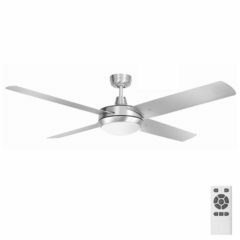 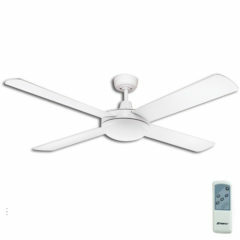 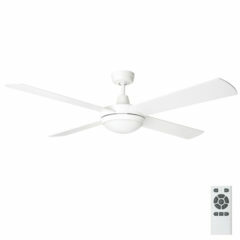 The Precision ceiling fan with light and remote is a premium Martec fan. 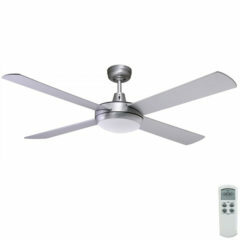 Its exterior is made of full marine grade 316 stainless steel. 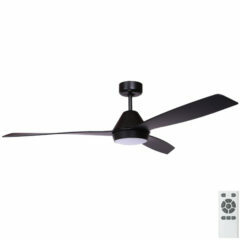 It is intended to give maximum airflow for all areas, both indoor and outdoor. 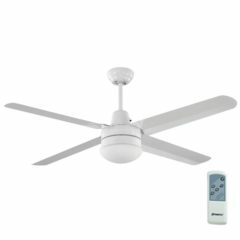 The Cardiff DC Ceiling Fan with light by Mercator is an efficient entry level model ceiling fan featuring timer functionality. 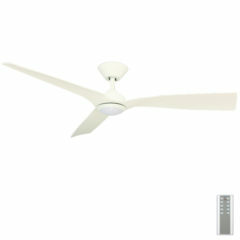 It’s operated by a quiet DC motor and will make a welcome addition to bedrooms. 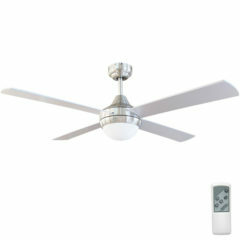 Its light fitting accommodates 2 globes (not included). 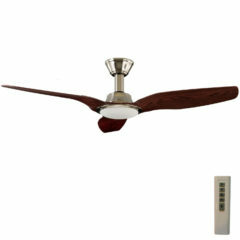 The Hamilton ceiling fan with light by Mercator provides a classical look and feel in a compact size. 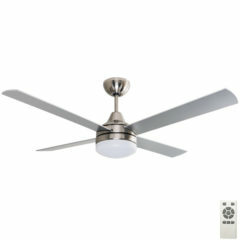 A beautiful ceiling fan that will complement any room. 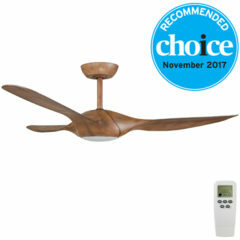 This fan has 6 timber blades and includes a light kit and remote control. 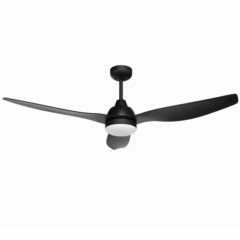 The Tempest ceiling fan released by Brilliant is available in 48″ (1220mm) with four durable plywood blades. 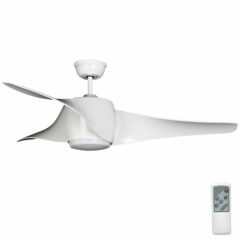 It comes complete packaged together with a 3 speed remote control and reversible functionality for summer/ winter use.